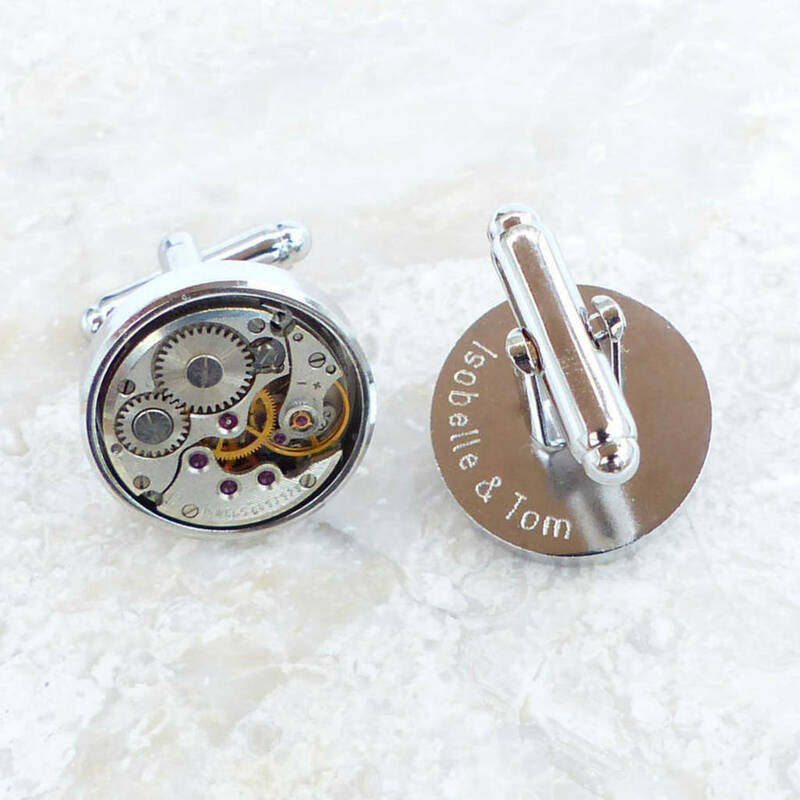 The original personalised vintage watch movement cufflinks with highly detailed features including ruby jewels. 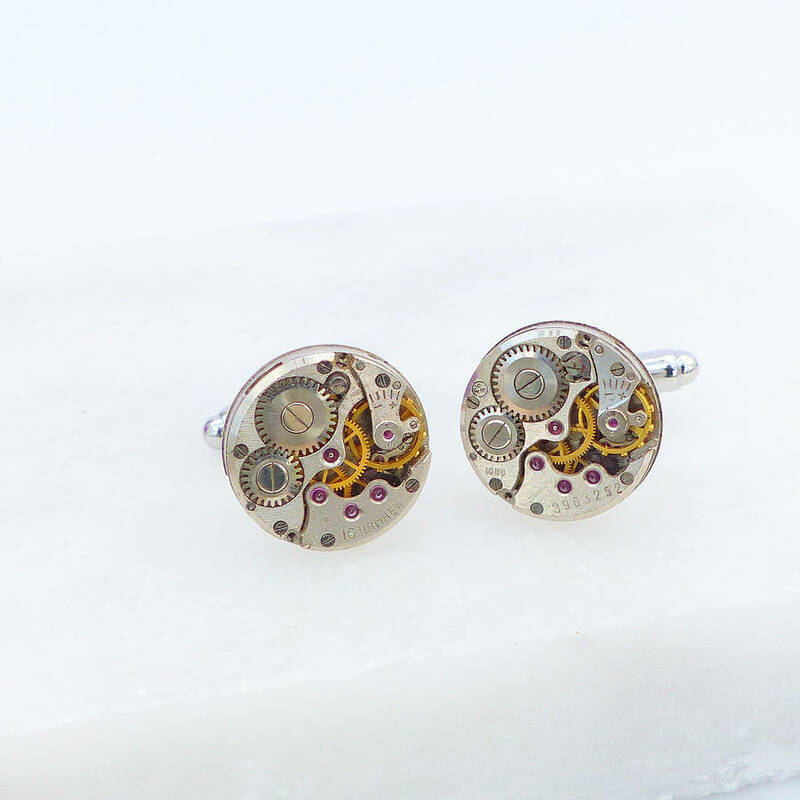 You will marvel at the craftsmanship and construction of something so small. 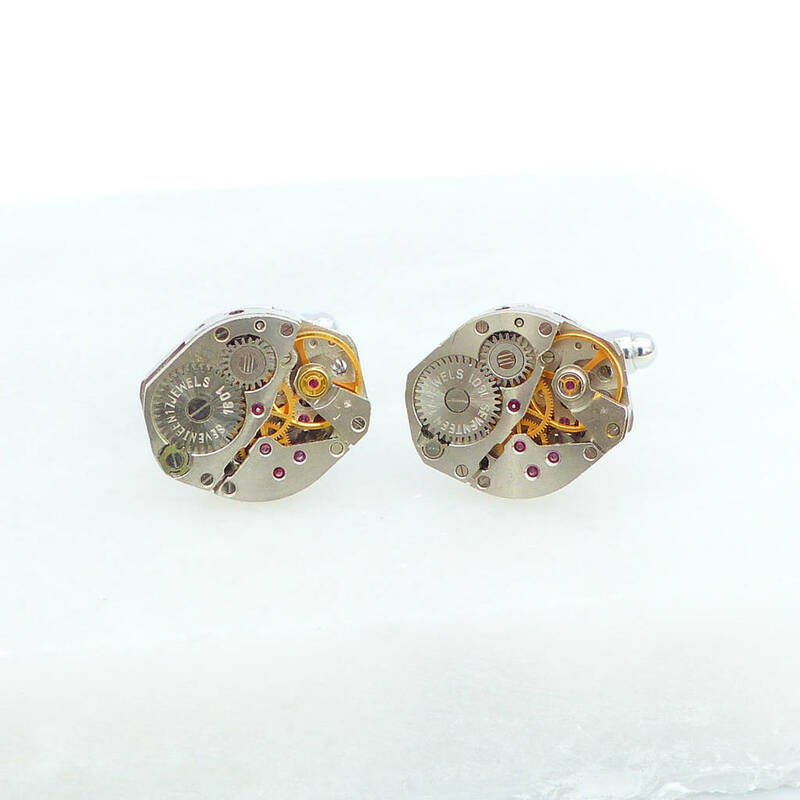 Each pair may vary slightly and may not be the same make as those shown in the photograph. They will all be stunning, unique and completely captivating! 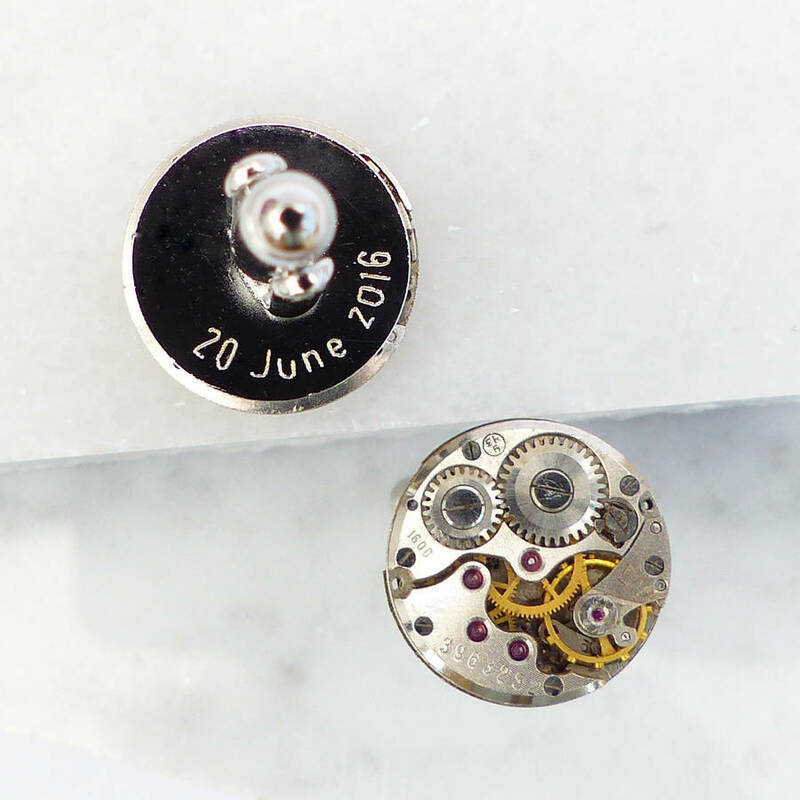 Please be aware that these are genuine vintage watch movements sometimes decades old, they will sometimes reflect signs of age they are no longer functioning watches and cannot be wound up. 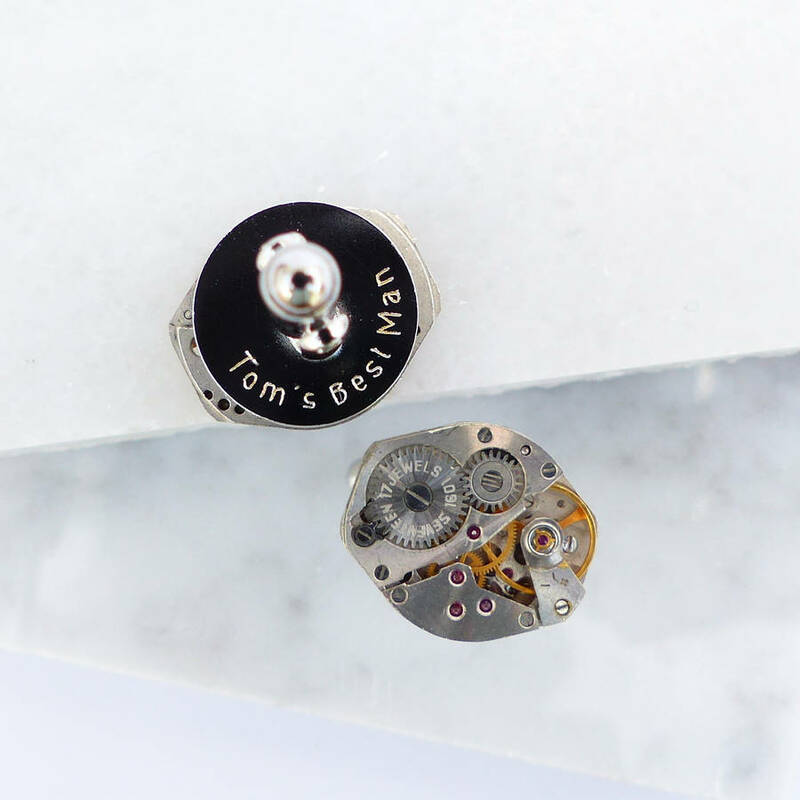 You can also choose to engrave the back of each cufflink with the words of your choice. This costs an additional £18 and allows you to personalise each cufflink with your own message of up to 15 characters on each cufflink (please note that spaces count as characters). 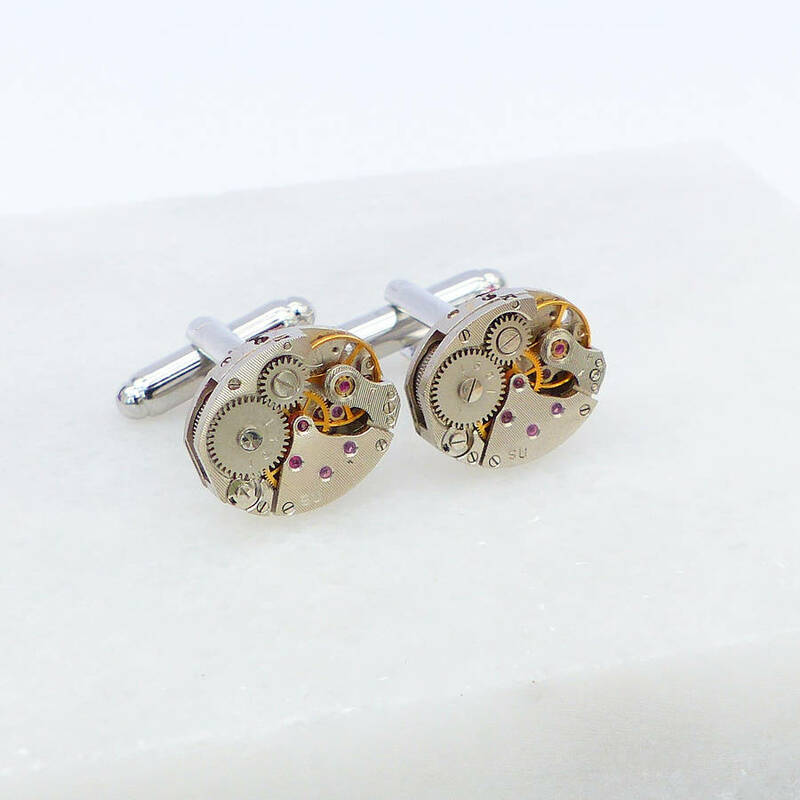 If you would like to add an engraved message please choose 'Yes' under the drop down menu 'Engrave back of cufflinks?' and let us know your messages in the personalisation boxes provided. 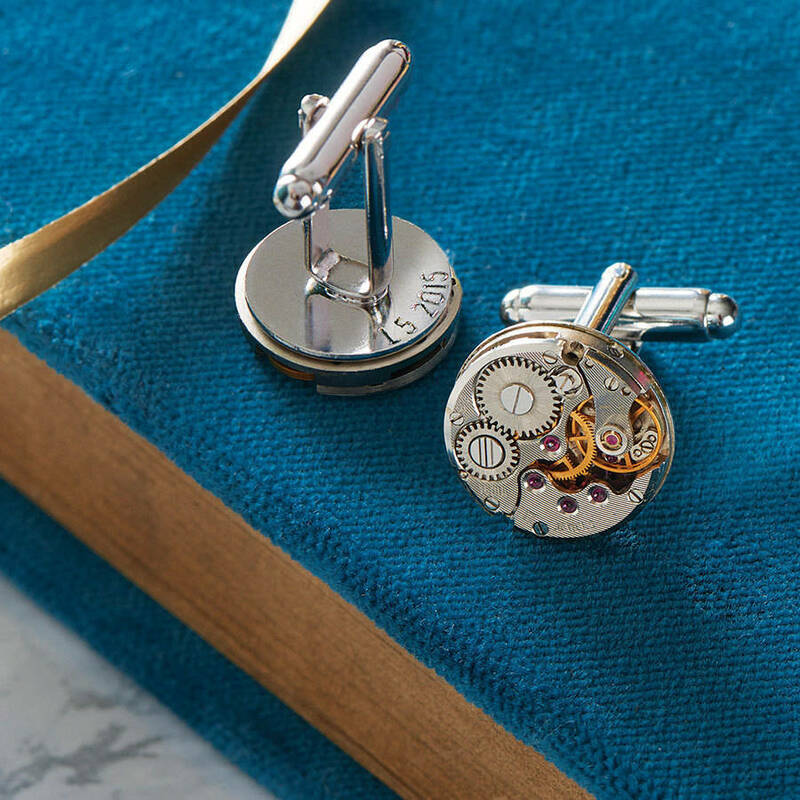 Our timeless and elegant products accentuate your outfit and enhance your look. 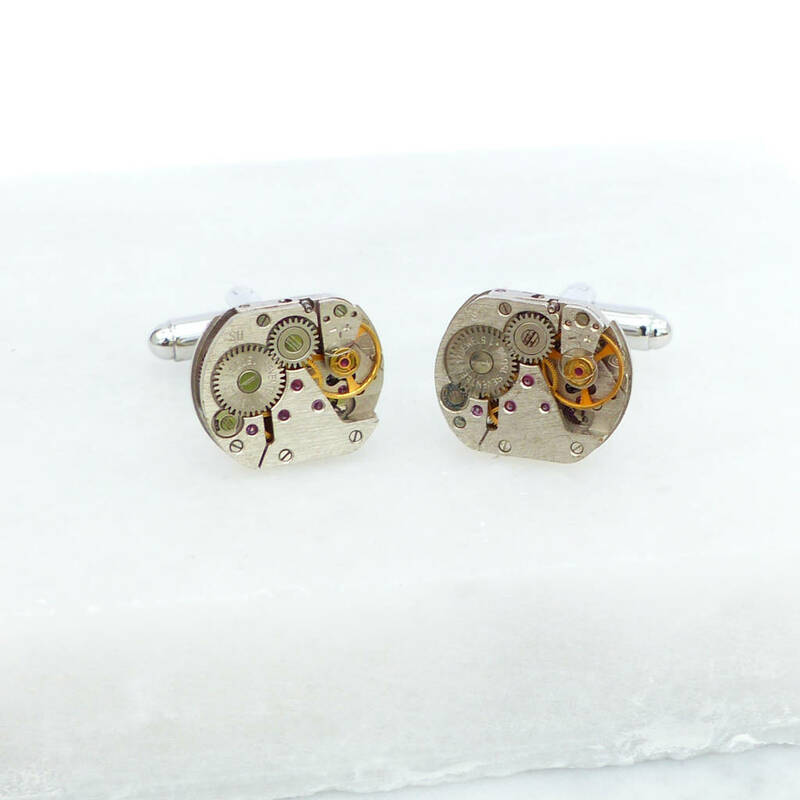 EVY Designs Ltd pieces make fabulous gifts for loved ones or a delightful treat for you! Designs and images are solely the property of EVY Designs Ltd© and cannot be used or reproduced without permission.